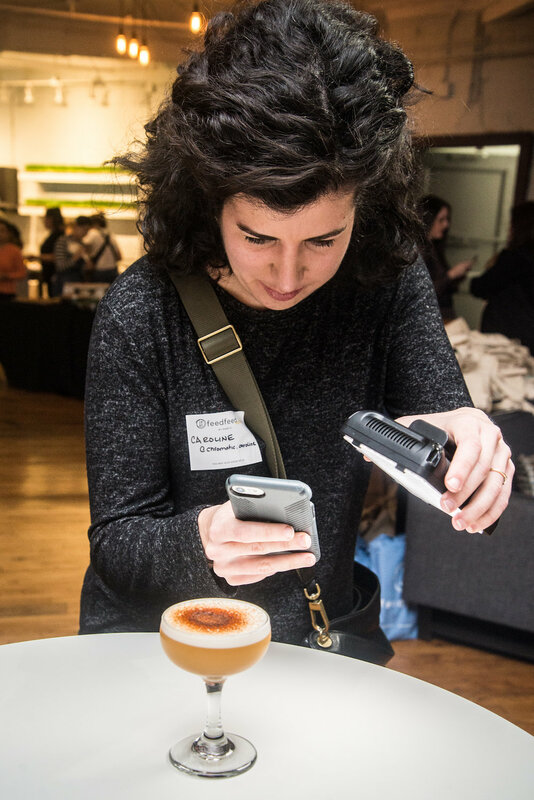 If there is one thing you need to know about #TeamFeedfeed, it’s that we take our eggs (and our egg puns) very seriously. 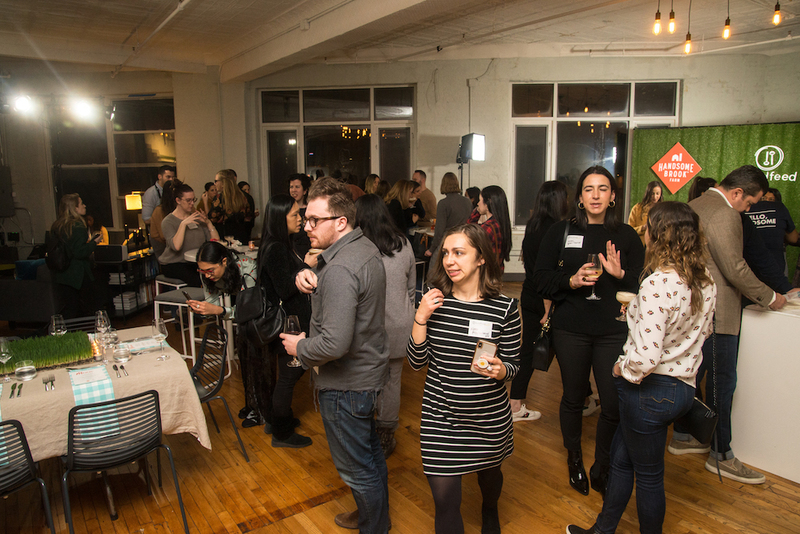 Whether we’re whipping up a team meal, developing recipes in our test kitchen, or hosting our community members for a dinner, it’s safe to say that we’re constantly cooking and baking with eggs at FeedfeedBrooklyn. 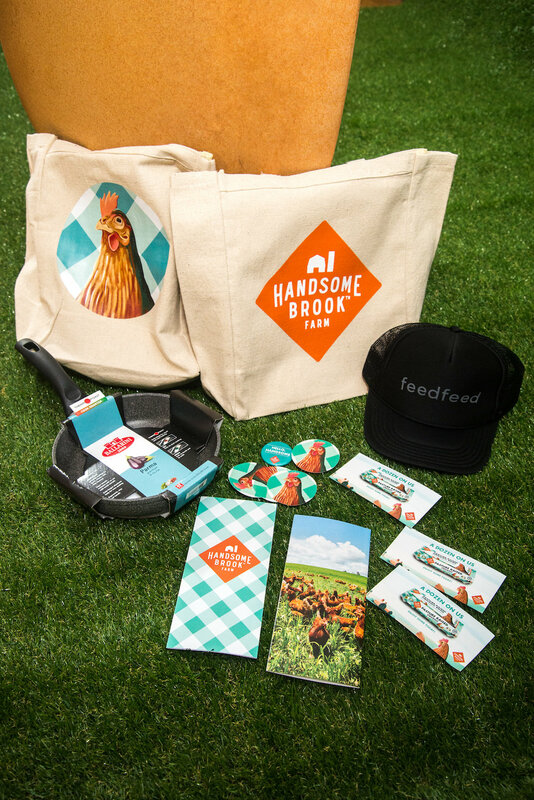 It’s for this very reason that we’re super excited to partner with Handsome Brook Farm on their Mother Hen Program, an homage to the very heart of their business. 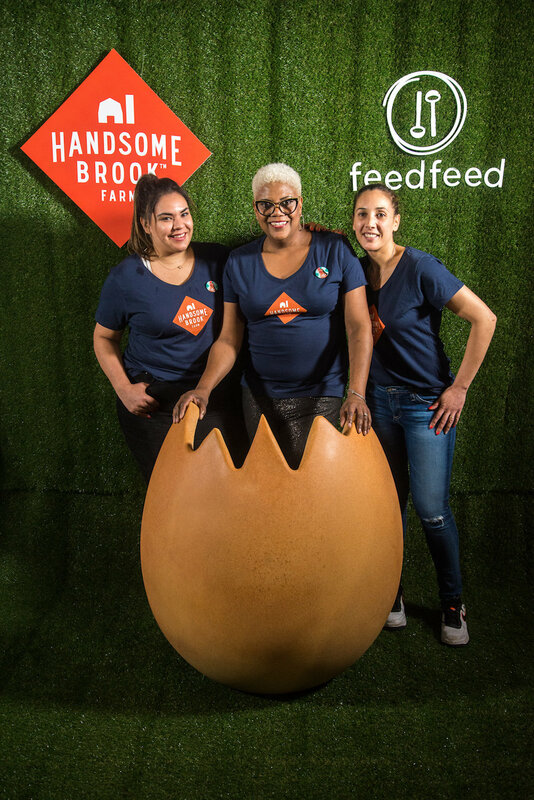 We’re so grateful to call Handsome Brook Farm the official egg sponsor of FeedfeedBrooklyn–their delicious Pasture-Raised Organic eggs keep us fueled, satisfied, and egg-static. It goes without saying that the excitement for this dinner was very real. As avid home cooks, we know a quality ingredient when we eat one, and Handsome Brook Farm eggs are truly in a league of their own. Since the hens are pasture-raised, this means that they’re happier and healthier than the average hen, thus the eggs that they lay are of the highest standard. Since it is the work of the mother hens at Handsome Brook Farm that fuels the wholesome eggs that are produced, it’s only right to honor them and show them our gratitude. In order to do this, Handsome Brook Farm has partnered with a slew of talented female chefs; including Chef Deborah Van Trece, Chef Leah Cohen and Chef Soraya Kilgore, all from across the country that are making important strides in their respective food communities. 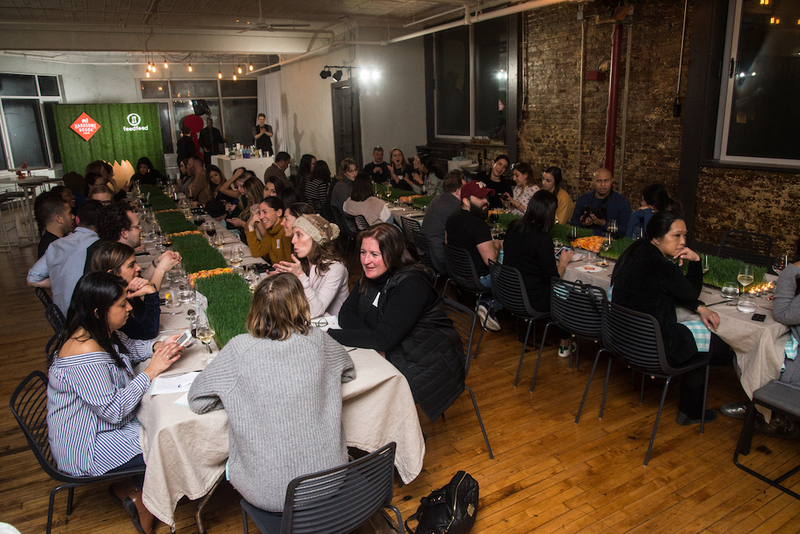 Here at FeedfeedBrooklyn, we were lucky enough to host three of these amazing chefs for a gorgeous seated dinner with our New York City community members (about four dozen, to be egg-zact). 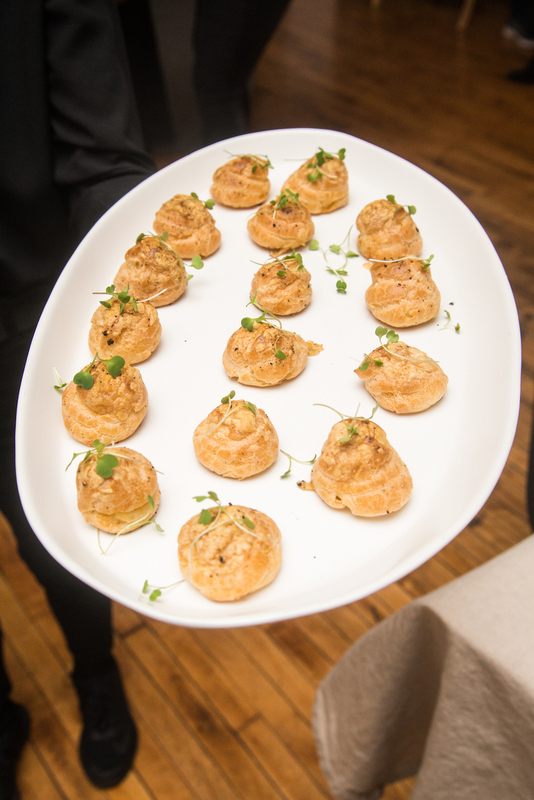 We kicked off the night with some scrumptious hors d’oeuvres and cocktails. 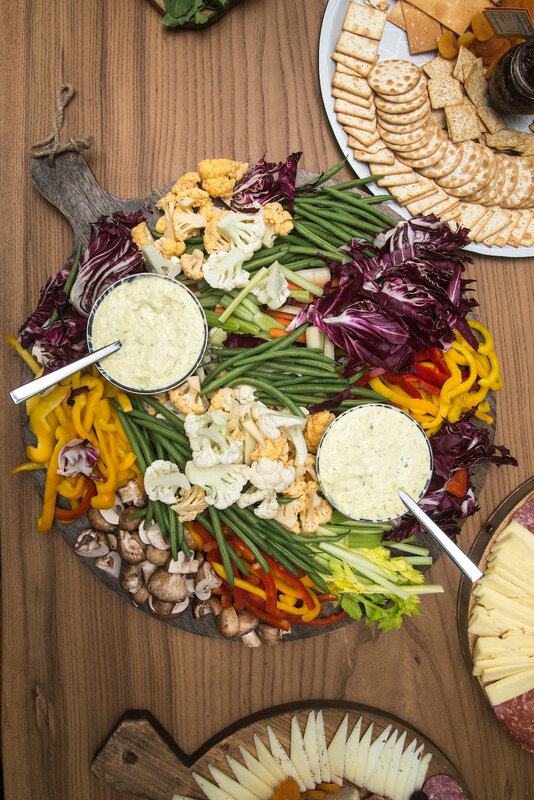 Guests helped themselves to cheesy Cacio e Pepe Gougères, a gorgeous crudite spread with herb aioli (what’s an aioli without some fresh eggs?! ), and plenty of cheese and charcuterie boards. The bar was cranking out two housemade cocktails, the Brownstone Fizz and the Handsome Gent. The former consisted of rich Irish cream, moon shine, chocolate bitters, and Handsome Brook Farm Pasture-Raised Organic Egg Whites, while the latter was made up of dark rum, fresh lemon juice, spicy strawberry syrups, and Handsome Brook Farm Pasture-Raised Organic Egg Whites. 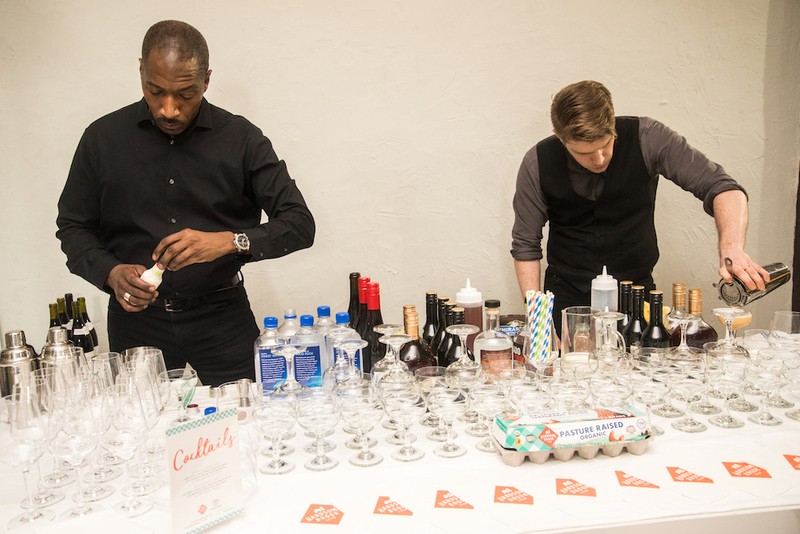 In other words, these cocktails were (quite literally), no yolk! 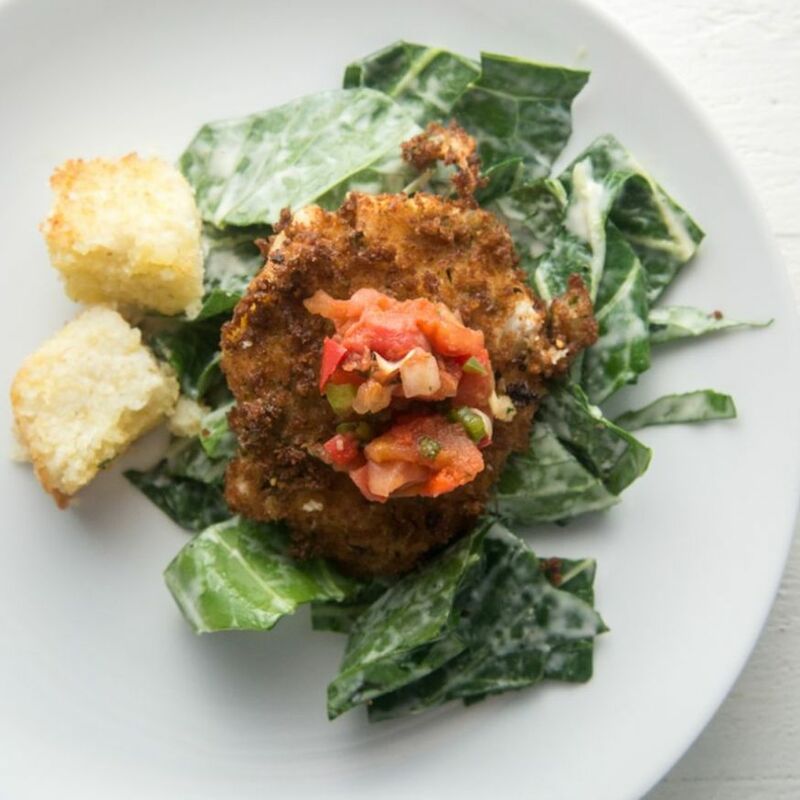 Chef Deb VanTrece of Twisted Soul Cookhouse in Atlanta kicked off the first course with a Collard Green Caesar Salad. Not only did she open our eyes to the beauty of a poached-then-fried Handsome Brook Farm Pasture-Raised Organic egg, but she also took things up a notch with a smoky tomato relish and Parmesan grit croutons. Who can argue with a lil’ runny yolk situation happening on a salad? 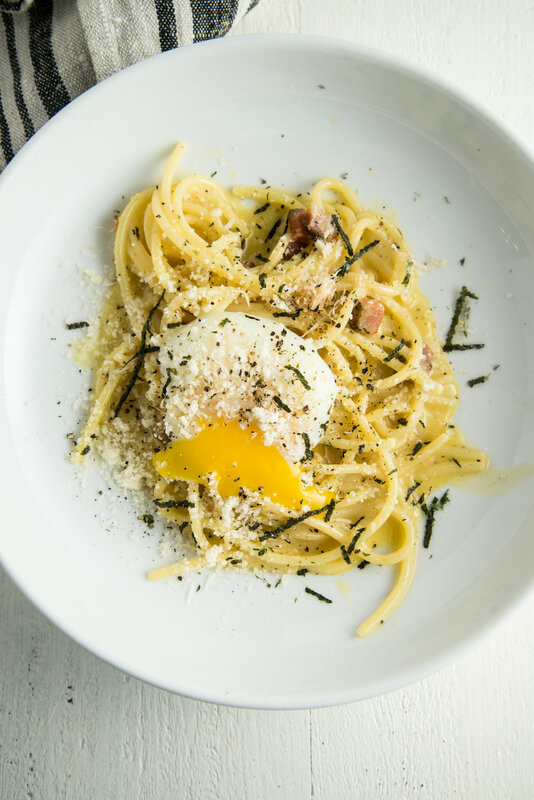 To follow up a delicious salad, Chef Leah Cohen of Pig & Khao in New York City cranked out a delicious Spaghetti Carbonara with Crispy Pancetta, Bonito, and a Handsome Brook Farm Pasture-Raised Organic sous vide eggs. It’s no secret that pasta, cheese, and a runny yolk are a tasty trifecta, and the crowd was definitely reminded of this sentiment after one bite of this luscious noodle dish. Twirls for days! 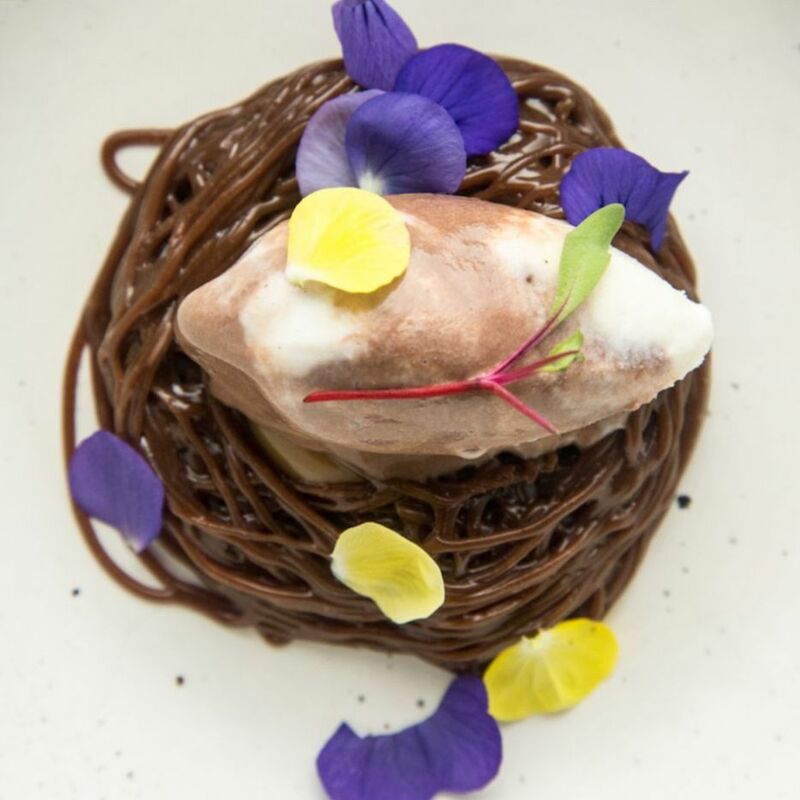 To bring it home, Chef Soraya Kilgore of MadLab Creamery in Miami, whipped up a creative spin on an “Egg in a Nest.” Basically, a rich chocolate brownie was topped with a ring of a meticulously-piped Mexican chocolate ganache and finished off with a Mexican chocolate and Vanilla Swirl quenelle. This final dish was just as satisfying as it was unique! The creaminess of her custard was unparalleled thanks to the Handsome Brook Farm Pasture-Raised Organic eggs! 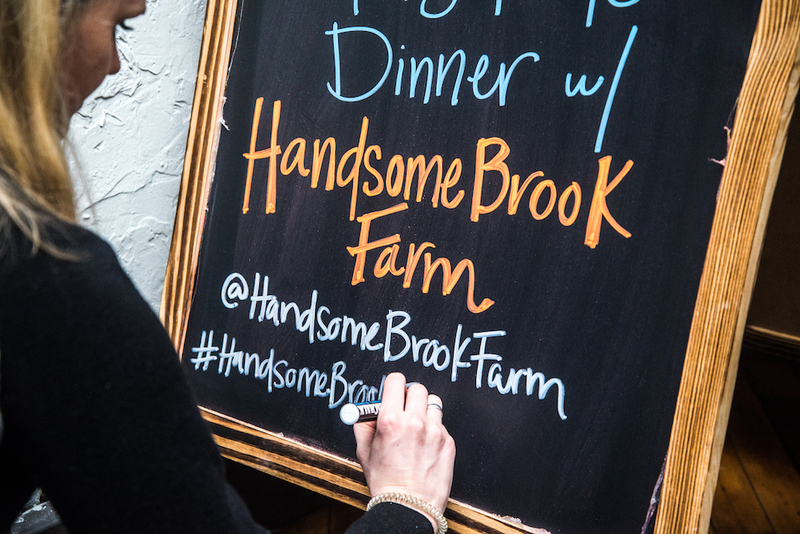 All in all, our dinner with Handsome Brook Farm was nothing short of incredible. 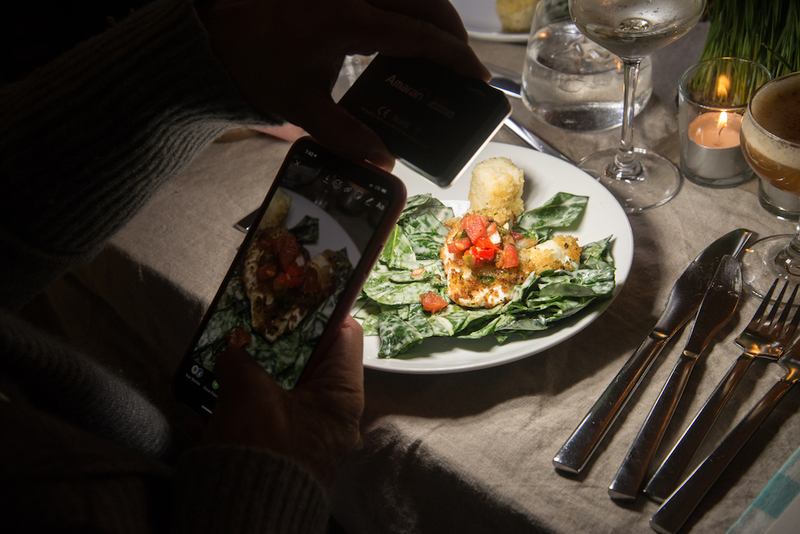 Guests took turns taking epic pictures in front of our life-size Handsome Brook Farm Pasture-Raised Organic egg (dreams really do come true). They also got to leave with a tote bag jam-packed with Handsome Brook Farm swag and egg-shaped macarons from Macarune. A big thanks to Ballarini, for providing the pans for the gift bags! 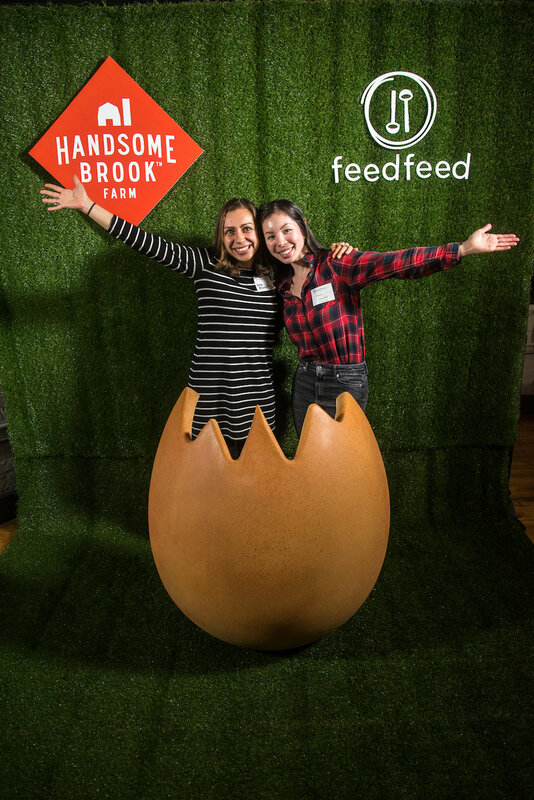 As exciting as the night was for all of our awesome community members, #TeamFeedfeed might be the real winners here because...so many leftover eggs! Thank you to Fairway for providing a wonderful selection of wines for this event! Also a big thank you to our additional studio sponsors, Health-Ade, Room & Board, and Simply Organic.